Register for camp (AND ANY AFTER SCHOOL PROGRAM - INCLUDING ACT PREP) through one of the links below. If you have never attended a camp at USJ, use the New Family button. If your child has participated in a summer camp before, use the Returning Family button. USJ camps are open to all students from any school. USJ offers a wide variety of day camps, classes, and events for kids of all ages during the summer. Our programs are open to all students from any school. Classes are filled on a first-come, first-serve basis, with registration unofficial until the registration and deposit is received online. Registration for Summer 2019 is open now! You will gain access to our many day camps and classes, including more detailed information, by registering through one of the red links ABOVE. Questions? Contact Director of Summer Programs Melissa Zerfoss: [email protected]. Camp Bruins, our summer-long daycare program, is designed for working parents who need extended care for their children over the summer. Our mission is to provide a safe, loving, relaxing, and fun environment for our students to spend their afternoons. Your children will love our organized program full of learning experiences and fun activities, which are developmentally-appropriate for 2-year-olds through rising 6th graders. Structured weekly themes include water play, arts and crafts, jumpers and inflatables, physical activities, and music. The program is licensed and operates under Department of Education guidelines. Campers may also participate in other USJ Summer Programs while attending Camp Bruins. Hours: 7:30 a.m. to 5:30 p.m. Tuition: 5 days a week all summer: $1,535; 4 days: $1,228; 3 days: $1,024; 2 days: $775. New this year: Lunch is included in the price. Optional cost by the week: $190 per 5-day week; $115 per 3-day week; $80 per 2-day week. Registration is $50 per child/$100 per family maximum with a $15 per child t-shirt fee. Registration and details for Camp Bruins Summer 2019 is available through one of the red links above. You may enroll your child for two, three, four, or five days each week. Application deadline is April 15, or until filled, whichever comes first. Questions? Contact Director of Camp Bruins and After School Care Faith Dixon: [email protected]. 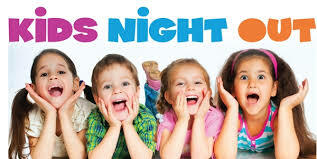 Parents can enjoy a night out while the kids have their own adventures! Join our Camp Bruins staff for an evening of fun. Activities include scavenger hunts, escape room-themed puzzles, movies, and indoor gym activities. Each child will enjoy a pizza dinner, drinks, and snacks. 6 to 10 p.m. $30 per child. Ages 3 years to rising 6th grade. We will offer two Friday night sessions over the summer. For more information about Kids Night Out and the Camp Bruins staff, contact Director Faith Dixon at [email protected] Registration and details for Kids Night Out! is available through one of the red links above. Free Summer Events at USJ - Mark Your Calendar! The Lower School Library will be open from 9 a.m. to 2 p.m. with a special presentation each week at 10 a.m. Families with signed enrollment contracts may check out books. These presentations are free and open to the public. Children must be accompanied by a parent or caregiver. Escape the summer heat and enjoy a free, family-friendly movie shown on Blankenship Theater’s big screen. Open to all students and their families from any school. Children must be accompanied by a parent or a caregiver. Students from Kindergarten through 5th grade may participate in various after school enrichments including Art, Tennis, Gymnastics, TOT Basketball, and piano lessons. To enroll, click on one of the sign up links above after August 21, 2018. Questions? Contact Director Faith Dixon: [email protected]. The After School Care program is designed for working parents who need extended care for their children. Our mission is to provide a safe, loving, relaxing, and fun environment for our students to spend their afternoons. The program is licensed and operates under Department of Education guidelines. To enroll, click on one of the sign up links above. Questions? Contact Director Faith Dixon: [email protected]. The After School Study Hall program is designed for working parents who need extended care for their children. Study Hall hours are 3:15 to 5:30 p.m. Monday through Friday when school is in session. To enroll, click on one of the sign up links above. Questions? Contact Director Faith Dixon: [email protected].